It is a requirement of your Agreement, that the goods are protected against Theft and Accidental Damage. We can arrange Theft & Accidental Damage Cover for £0.29 per week. It is a requirement that products purchased on a credit agreement are insured. We can offer Theft and Accidental Damage Cover for £0.29 per week. 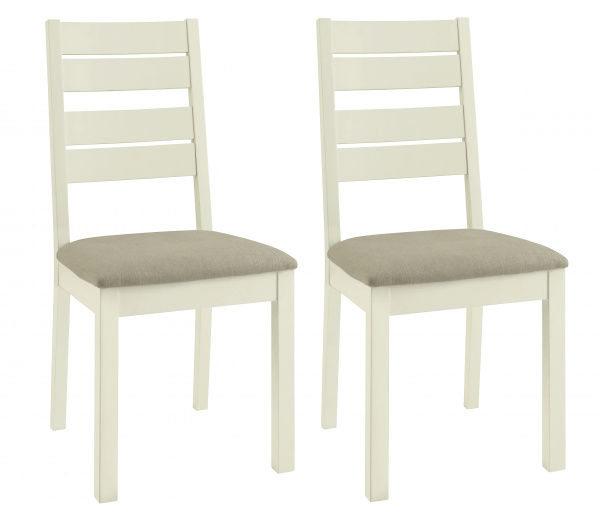 To compliment the Primrose tables, this chair sits perfectly with either the 2-4 table or the 4-6 table. To match the set the chair has a beautiful light slatted frame with a sand fabric seat for ultimate comfort and affordable class. Including 2 chairs.